This was so wonderful with the Mexican posole soup that I made, that I decided to make another pan to go with chili. It’s ridiculously simple to prepare, and fast too! 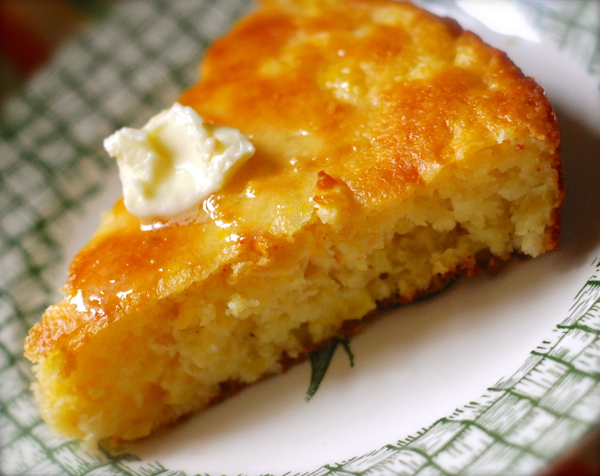 Everyone loves this dreamy, light cornbread that’s slightly sweet, a little tangy, and so tender because of the addition of plain greek yogurt. SO good! Butter a 10 inch cast iron skillet or a 9×9 cake pan. Combine the flour, cornmeal, sugar, baking powder, and salt in one bowl. Mix well. In another bowl combine the egg, oil, corn, yogurt, and Cajun seasoning. Mix well. Add the wet ingredients to the dry ingredients, just until moistened. Using a rubber spatula, scrape batter into prepared pan.